I would be thrilled with a flieger using the standard 41mm case with the Unitas 649x with center second modification. 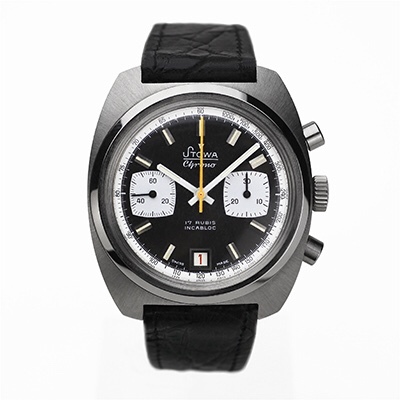 Basically a Flieger Original that is actually available for sale at less than a Speedmaster price. That would be perfect. I wish it could be possible, as it must be pretty difficult. There could also be an Antea, there were really nice Antea LE in the past. I would like an Antea with a copper coloured dial, like there has been in the past. I am probably a minority of one. I would consider one. How about brushed/spun copper, like the Inox dial was with stainless? Or, can an entire dial be "blued" like is done with Antea hands? I imagine it may be too reflective. Would brushing before hand interfere with the process? Last edited by platinumEX; July 29th, 2016 at 14:45. I'd like to see a Marine automatic with matte black dial, date, blued lume filled hands and lumed numbers. Like a cross between the Marine auto, Marine Original LE and Dornbleuth 99.0.
debasercl, sefrcoko and wkw like this. I would not bet on a Partitio LE. I love this watch (my first modern Stowa) but I don't see any LE coming anytime. Well, not so much a LE for the Partitio but something like a 40mm version or a 39mm, based on what the guys on the forum are saying. I want a military/army watch...Already got the Flieger, and will get the Marine Original at some point, the "army" watch would complete the tri-factor! platinumEX, Fikk, logan2z and 8 others like this. Life is tough, budgeting funds for something not release yet.